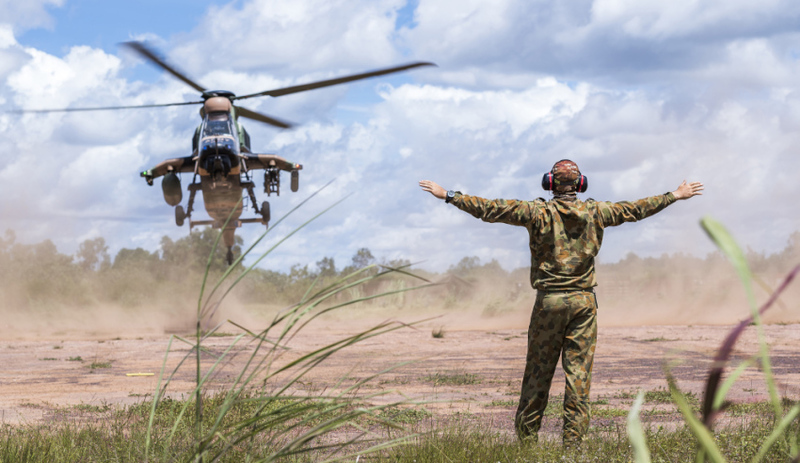 A Tiger Armed Reconnaissance Helicopter (ARH) during Exercise Predators Talon & Griffin Guns. Image via Commonwealth of Australia, Department of Defence. Defence’s financial reporting on sustainment must become more transparent and use “plain language”, the joint committee of public accounts and audit has recommended. The joint committee of public accounts and audit report, led by Liberal senator Dean Smith, has been released eight months after the Australian National Audit Office (ANAO) released its own report examining whether Defence had a fit-for-purpose framework for the management of materiel sustainment. The committee found that while the financial reporting on Defence sustainment is mostly "adequate", there were overarching problems including variations in "variations in descriptive information, including no explanation of variations in full-year outcomes, the use of different terminology across documents, and missing links between what was planned and what was actually achieved". One of the six recommendations put forward by the committee has urged Defence to improve its Corporate Plan, Portfolio Budget Statements, Portfolio Additional Estimates Statements, and Annual Report to give a "clear read". The term ‘clear read’ means that the objectives for each project should be clearly stated at the start of the year and achievements against those objectives reported at the end of the year, acting as an important accountability measure particularly around overspending, the committee said. "Defence’s internal reporting regime should be open to the minister and the secretary, and report using plain language," the report said. "Terms like ‘overachievement’ should not be used to describe overspending. More broadly, the culture in the Department of Defence will need to continue to change to reinforce reform across this area." Defence's budget across the 2017-18 year is $34.6 billion, with spending on the sustainment program estimated at $9.4 billion. Spend on sustainment is expected to increase by 21.5 per cent over the next four years. The committee recommends that the Department of Defence improve its Corporate Plan, Portfolio Budget Statements, Portfolio Additional Estimates Statements, and Annual Report to ensure a clear read of both financial and descriptive performance information. The committee recommends that the Department of Defence consolidate information extracted from its Corporate Plan, Portfolio Budget Statements, Portfolio Additional Estimates Statements and Annual Report in one place online in a format that allows for clear and easy scrutiny of sustainment expenditure. The committee recommends that the Department of Defence appropriately signpost to readers of the hard copy/PDF version of the Defence Annual Report that further information is available online, specifying what online information is available. The committee recommends that within six months of the tabling of this report the Department of Defence provide to the committee: a report on progress in driving First Principles Review reforms, detail of the positive changes that have been realised to date with the implementation of the First Principles Review, an update on the progress of the Systems Program Offices review, a report on progress of the whole-of-life costing model, and a report on progress to selecting a candidate to run the Major Projects Office. The committee recommends that the Auditor-General consider reviewing the Department of Defence’s new monthly reporting system and documentation including advising whether there have been improvements in reporting to the minister and secretary, and that the information provided via reporting is timely and accurate. The committee recommends that the Department of Defence provide a detailed progress report on behavioural changes that have accompanied improvements in internal performance reporting within six months of the tabling of this report.